A creative non-fiction piece of mine, Third Night, which I presented as a reading at the Australasian Association of Writing Programs’ conference last year, has just been published, along with other conference presenters’ pieces, in a special edition, ‘Hauntings’, of Swinburne University’s journal, Bukker Tillibul. I’m reproducing Third Night below, but you can also read it and all the other pieces here. The first night, far from home, and a dream: a woman writing, at a desk in an old weatherboard cottage. The screen door creaks, and something hurtles into the room. A glimpse of a face, vivid in its sheer ferocity: a tiny thing, but deadly. 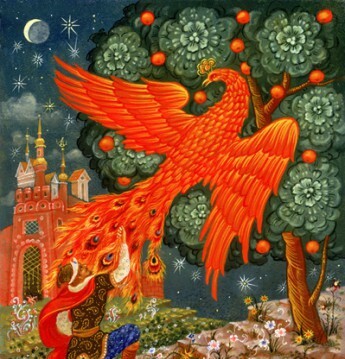 The dreamer awakes in fright, to silence and friendly darkness, thinks on the dream, but does not understand. Now it’s the second night, another dream. Two travellers, a woman and a man, arrive at a lakeshore. The man strips, goes into the lake, and as he does so, the water turns his skin to bronze, he is becoming alien but doesn’t seem to notice, while his companion cries out in fear. The dreamer wakes, heart pounding, into the friendly darkness, and still does not understand. It is the third night, in a Sydney suburb this time. The dreamer is asleep. All at once, dogs bark. The staccato sound that tells you their hackles are rising, that something unexpected is out there. It is this that wakes the dreamer and gets her up to look out the window. Outside, in the vacant lot next door, there is a man, standing in the moonlight, hair of black and silver, dressed in plain pale clothes—but exactly what colour are they? He looks quite solid, there is no translucence about him, and yet..He has one hand on his hip, the other held out with fingers parted, a silent message. Otherwise, he is still, more still than ever any human can be: and his glance—what a cold, direct gaze!—is fixed at the wide-awake dreamer, standing transfixed at the window. There is no fear. Don’t think that. Only an eternal moment, suspended, the cold direct gaze, the silver glimmer, the silent calling. Now the waking mind is rebelling, seeking to explain. There is an intruder! Something must be done. The dreamer rouses the household which stands there in its pyjamas staring bleary-eyed out at the night. The household shouts at the dogs, hoping to chase away the intruder. Then rubs its eyes, says, ‘But he’s not there! Look..’ And in the place where the man stood in the vacant lot, the dreamer sees…a tree. A small, stunted grey eucalypt. The dogs have stopped barking. The household goes back to bed, shrugging. But the dreamer stands at the window and stares out at the tree. I’ve heard the dogs barking before, gone to the window to shout at them, and seen that tree. But not this night. The dogs barked, and I saw something else, which the first two nights had prepared me for. Not a dream. For yes, this was my own story. What happened was real: but I may never be able to understand it. It does not matter. For all of us move in the world’s mystery as fish swim in water, because it is our natural element. Yet often without understanding, for fish are the last to know they live in water. 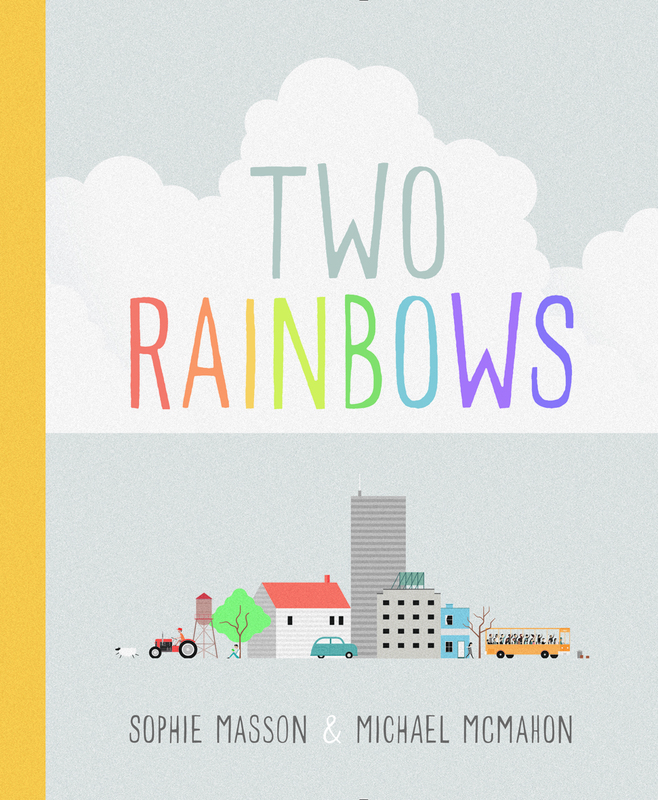 Cover reveal for Two Rainbows! Drum-roll: very happy to be able to reveal the gorgeous cover of Two Rainbows, the second of my two picture books to appear next year with Little Hare. With strikingly atmospheric pictures by fantastic new illustrator Michael McMahon, it’s an exploration of colour and the very different ways it’s found in city and country life, seen through the eyes of a little girl.The book comes out in July 2017. 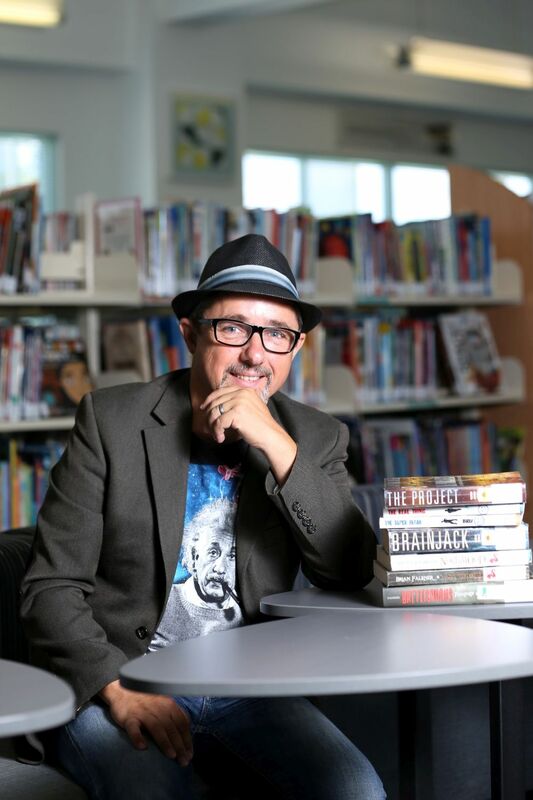 Born and raised in Auckland, best-selling, award-winning writer Brian Falkner began college intending to study computers, but along the way he decided to shift his focus to something more creative. After gaining a diploma of journalism, he worked as a reporter and advertising copywriter. Other jobs helped pay the bills and also expand the first-hand experiences that would later enrich his fiction, among them stints as a motorcycle courier, radio announcer, graphic designer, and Internet developer. His first children’s book, Henry and the Flea, was published in 2003, and since then he has had fourteen novels published internationally. He currently lives on the Gold Coast in Queensland. 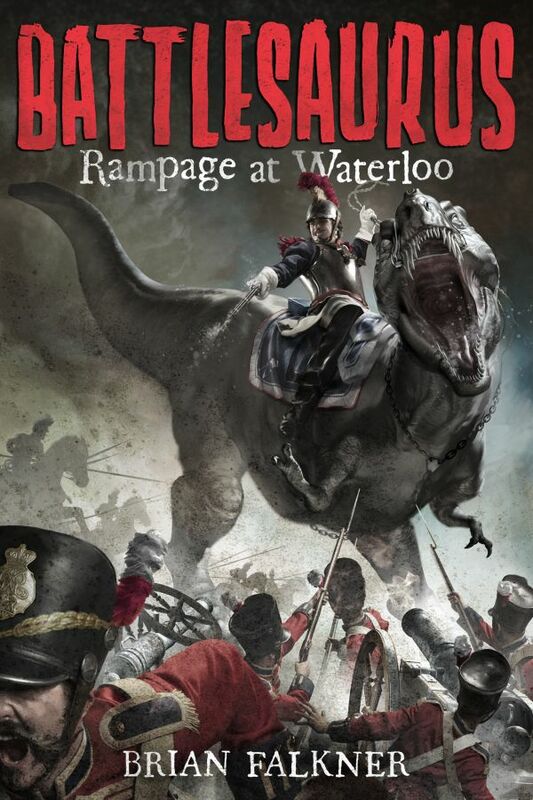 Today, I’m talking to Brian about his extraordinary YA alternative history duology, the Battlesaurus series ( Rampage at Waterloo and Clash of Empires), which reimagines the Napoleonic wars with the French Emperor victorious at Waterloo, thanks to his secret weapon–huge carnivorous dinosaurs! It might sound like a strange, even an offputting, concept–but take my word for it, it really works! Beautifully written and grippingly told, with no talking down to the reader at all and with fabulous characters and settings, it had echoes for me, in some ways, of the great sweeping adventure novels I loved as a young reader: such as books by Robert Louis Stevenson, Alexandre Dumas, Jules Verne, Rosemary Sutcliff and Henry Treece.. Grand storytelling, in other words, spiced with that very contemporary boldness of concept! And it’s been a very successful combination, with the first book, Battlesaurus: Rampage at Waterloo, winning the Young Adult category in the New Zealand Children’s Book Awards this year. Dinosaurs and Napoleon: what an amazing and unexpected combination! How did you come up with the concept? The original concept was inspired by a book by Michael Gerard Bauer called ‘Dinosaur Knight’. While my book is very different to Michael’s, a seed was planted. What if dinosaurs had somehow survived the ‘extinction event’ 65 million years ago. If we shared our world with dinosaurs, in what way might that have changed historical events. That led to a lot of thinking about historical wars. I wanted something fairly recent (not medieval) but in the 20th Century weapons were invented that would make dinosaurs useless as a weapon. The Napoleonic wars seemed a good fit, and I have always been fascinated by the Battle of Waterloo. The world of your book is richly depicted and very real in feel. How did you go about creating it? I did a terrific amount of research. Not only into the period, but into the locations and into dinosaurs. The more I researched the more interesting facts I turned up that seemed to fit together in strange and unusual ways. There aren’t just terrifying carnivorous dinosaurs in your story, but also a whole range, including the very touching little microsaurs (who wouldn’t want one as a pet!) In each case, there’s a relationship with humans–both good and bad. How did you go about developing those relationships? Once I had decided on which dinosaurs would exist in the modern world (and with one exception they are based on real dinosaurs) I tried to come up with personalities for those dinosaurs. That enabled me to develop the relationship with humans. Why do you think Napoleon still fascinates people today? And how did you go about adapting Napoleonic history to fit your own alternative history? Napoleon was a polarising figure. He was a common man, during the fall of the French monarchy, who went on to led the country. He was a military genius, and almost succeeded in conquering all of Europe. I think we admire his strength and are fascinated by his failings. I changed very little in the history of the world, right up to the point where the dinosaurs charge out of the forest during the battle of Waterloo. Up to that point my book is historically very accurate (except for the existence of the ‘saurs’.) After that point of the book, of course, history is radically changed. Though the story is mainly seen through the eyes of Willem/Pieter, the main character, there is a large cast of vivid characters–Belgians, French, English, both young and not so young. How did you go about interweaving their stories? I realised early in developing this story that it was bigger than one person’s point of view. That led me to developing the characters of Jack Sullivan and Lieutenant Frost. They see things from the British point of view. One as an office, the other as a common soldier. I wanted also to show the French side of things, so included scenes from my main villain’s point of view. 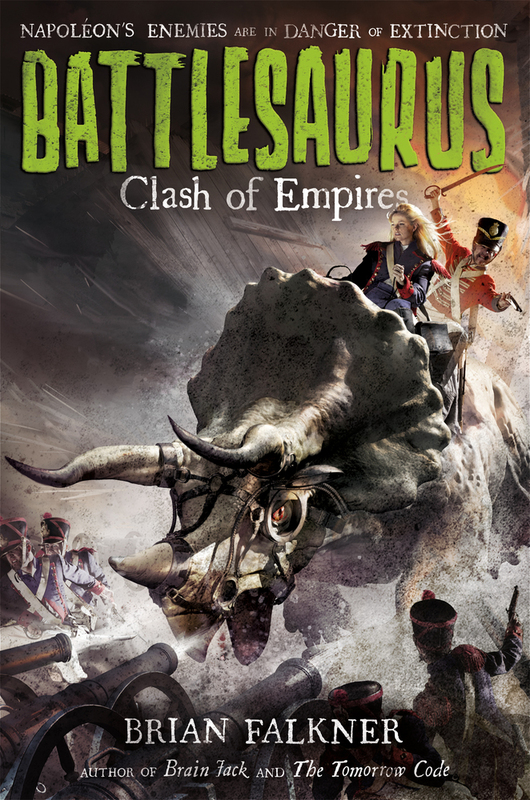 The first Battlesaurus book has been very well-reviewed and has won a major award in New Zealand. What reactions have you had from readers as well? It is interesting. There seems to be a disconnect between the title/cover and the story. The cover and title seem to imply ‘350 pages of non-stop rampaging dino action’ whereas the book is not like that at all. I have a concern that some people who would really enjoy the book are put off by the cover and title. Whereas those who are looking for ‘non-stop dino action’ will find the book is not what they were expecting. I think the judges in New Zealand and Australia book awards have recognised the quality of the writing and the story, as have most reviewers. However it is a common theme of reviews that the book is not what they were expecting from the cover. I am writing a novel set during the first world war. It is called 1917: Machines of War and it examines the technology that came to change the face of war. Aircraft and tanks. This time the technology is real!